A 5-minute walk from nightlife and shopping options at Legian, 5 Minutes walk to Kuta Beach, 20 minutes drive from Ngurah Rai International Airport. This wonderful resort sits proudly on one of Bali’s best stretches of sand at Tanjung Benoa, on the Nusa Dua peninsula, looking out over the sparkling sea, home to every watersport imaginable. The resort consists of luxury pool villas or suites, many opening directly onto the expansive lagoon pool, and all with a living room and discrete kitchen. The beach club, home of the top-rated Sakala Bali Restaurant, has a second stunning pool and is open to day visitors of all ages, while the younger ones might like the kid’s club and pool. Montigo Resorts provides the ultimate getaways for all generations. From children to grandparents, each exciting experience is uniquely suited to individual tastes and expectations. Indeed, there is something for everyone. 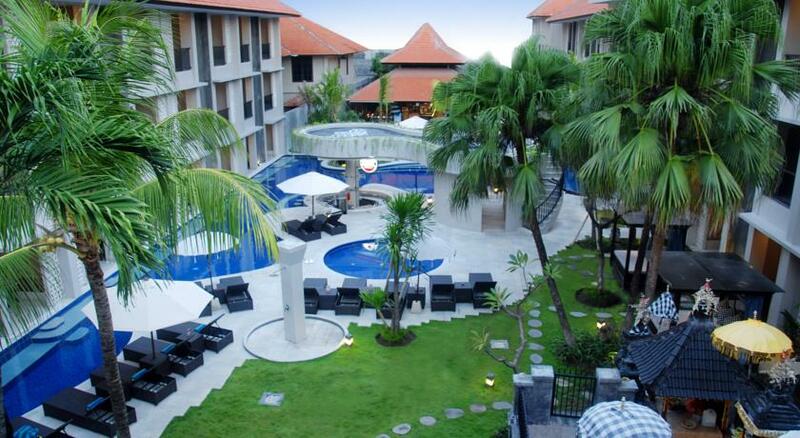 Montigo Resorts, Seminyak brings you a new lifestyle resort concept in Bali, Indonesia. Specially designed for your family, friends and those who matter most to you, offering exquisite amenities and services in the heart of the island’s most cosmopolitan district. Our TIIGO all-day dining restaurant and swimming pool is opened since December 2015. The Montigo Spa and Gym, kids club and main pool will be opened by quarter 4,2016. 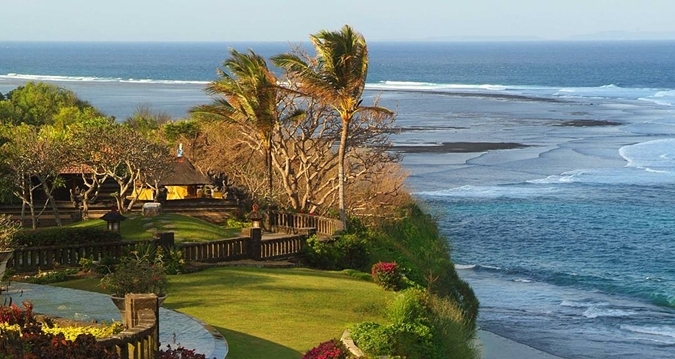 Boasting a spectacular, unrivalled setting overlooking the shimmering Indian Ocean, the Nikko Bali Resort & Spa offers luxury and opulence with panoramic views. This magnificent resort is situated on the South part of Nusa Dua within easy access of world class golfing opportunities and a shopping area. It is also a mere 25 minute drive from Ngurah Rai International Airport.Offering guests a decadent mix of quintessential Balinese beauty and charm and modern international comfort and luxury, the elegant guest rooms are sure to impress. The resort provides a host of facilities and amenities to cater to every recreation and relaxation need and desire.For a breath-taking setting, eloquence and comfort, there is only one choice. 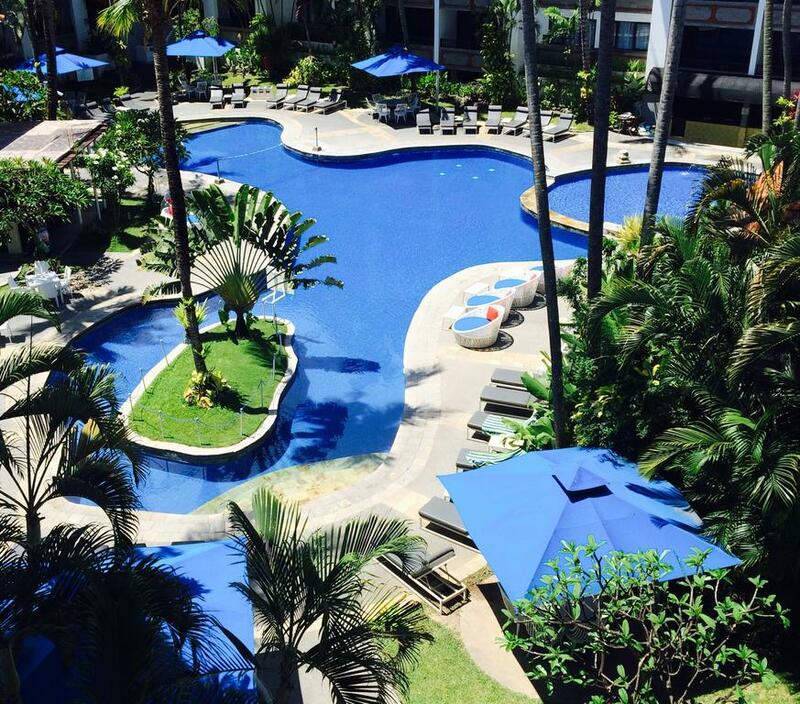 This hotel is located on the fabulous southern coast of Kuta, only a short walk from the wonderful sandy beach, and surrounded by tropical gardens. A shopping centre and the airport are only a few minutes from the hotel, making it ideal for business travellers and holidaymakers. The hotel offers an inviting lobby, a currency exchange and a safe. Dining options include a cosy bar and a restaurant. Conference rooms are on offer for business travellers. The cosy rooms are air-conditioned and come with a bathroom with a bath and a balcony or terrace. Other standard fittings include a minibar/fridge, and tea and coffee making facilities. In the grounds, guests will find a swimming pool with a poolside snack bar and a spa. Sports enthusiasts can play tennis or try diving and windsurfing at the beach. Located in the tranquil coastal village, Sanur, this hotel is an ideal hub from where to experience everything that makes Bali such a popular destination. 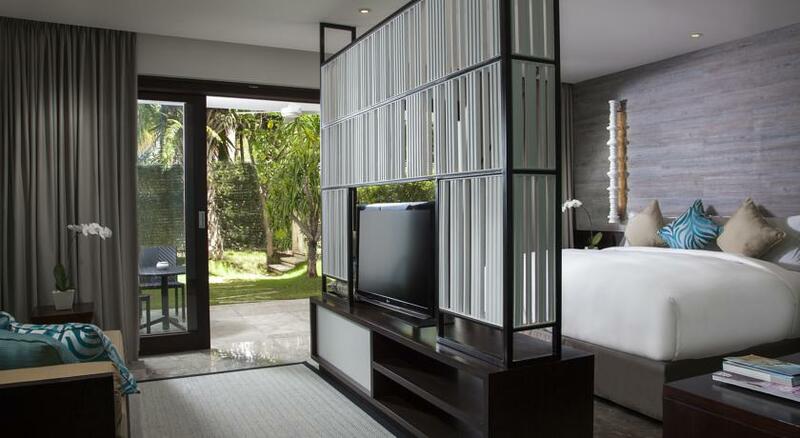 Its guests will be at a few minutes from the busiest areas and around a 5-minute drive from the Sanur beach. The centre of Denpasar can be reached within 15 minutes by car and those traveling through the Bali Airport will need around 40 minutes to reach the establishment. 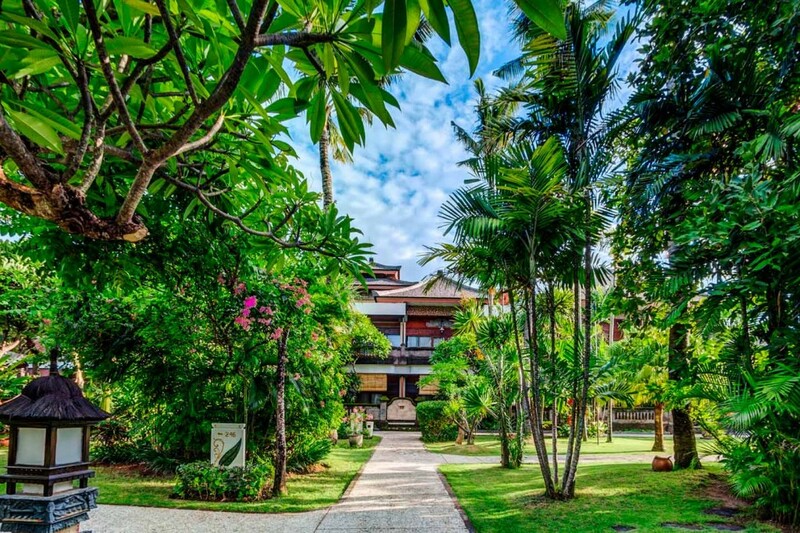 Once they arrive they will be greeted by a combination of sunny skies and tranquillity, as well as warm and friendly Balinese hospitality that makes the hotel a preferred destination. All of the apartments are nestled in the lush tropical poolside gardens and are surrounded with swaying palms and tropical plants. Well finished in local fabrics with a distinct Balinese style, the units are equipped with everything needed for a comfortable stay.